Lester Bowles Pearson, often referred to as "Mike," PC, OM, CC, OBE, MA, LL.D. (April 23, 1897 – December 27, 1972) was a Canadian statesman, diplomat, and politician, who, in 1957, became the first Canadian to receive the Nobel Peace Prize. He was the fourteenth Prime Minister of Canada from April 22, 1963, until April 20, 1968, as the head of two back-to-back minority governments following elections in 1963 and 1965. During his time as Prime Minister, Pearson's minority governments introduced universal health care, student loans, the Canada Pension Plan and Canada's flag. He improved pensions, and waged a "war on poverty." He pursued bipartisan foreign policy supporting internationalism, that is, economic and political cooperation among the nations of the world so that all benefit. During his tenure, Prime Minister Pearson also convened the Royal Commission on Bilingualism and Biculturalism. In 1969, he chaired a major inquiry for the World Bank. With these accomplishments, together with his groundbreaking work at the United Nations, and in international diplomacy, Pearson can safely be regarded as one of the most influential Canadians of the twentieth century. 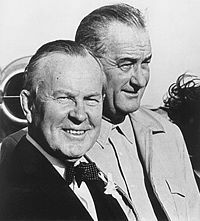 Lester B. Pearson was born in Newtonbrook, Ontario (now a neighbourhood of Toronto), the son of Edwin Arthur Pearson, a Methodist (later United Church of Canada) minister and Anne Sarah Bowles. He entered Victoria College at the University of Toronto in 1914, where he lived in residence in Gate House and shared a room with his brother, Duke. While at the University of Toronto, he joined The Delta Upsilon Fraternity. At the university, he became a noted athlete, excelling in rugby and playing for the Oxford University Ice Hockey Club. As he was too young to enlist in the army when the First World War broke out in 1914, he volunteered for the medical corps, where as a Lieutenant, he served two years in Egypt and Greece. In 1917, Pearson transferred to the Royal Flying Corps (as the Royal Canadian Air Force did not exist at that time), where he served as a Flying Officer until being sent home, as the result of a bus accident. It was as a pilot that he received the nickname of "Mike," given to him by a flight instructor who felt that "Lester" was too mild a name for an airman. Thereafter, Pearson would use the name "Lester" on official documents and in public life, but was always addressed as "Mike" by friends and family. While training as a pilot at an air training school in Hendon, England, Pearson survived an airplane crash during his first flight but, unfortunately was hit by a London bus during a blackout and was sent home as an invalid to recuperate. After the war, he returned to school, receiving his BA from the University of Toronto in 1919. Upon receiving a scholarship, he studied at St John's College Oxford University, where he received a BA in modern history in 1923, and the MA in 1925. In 1925, he married Maryon Moody (1901–1989), with whom he had one daughter, Patricia, and one son, Geoffrey. After Oxford, he returned to Canada and taught history at the University of Toronto, where he also coached the men's varsity ice hockey team. He then embarked on a career in the Department of External Affairs. He had a distinguished career as a diplomat, including playing an important part in founding both the United Nations and NATO. During the Second World War, he once served as a courier with the codename "Mike." He went on to become the first director of Signal Intelligence. He served as Chair of the Interim Commission for Food and Agriculture from 1943 until the Food and Agriculture Organization was established in 1945. He also helped to set up the UN Relief and Rehabilitation Administration (1943) serving as chair of the supply committee and of its subcommittee for displaced persons. In 1945, he advised the Canadian delegation at the San Fransisco conference where the UN Charter was drawn up. He argued against the concept of a Security Council veto for the "great powers." In 1947, as the UN considered the issue of Palestine, where Britain was withdrawing from its mandate, he chaired the UN's Political Committee. In 1952, Pearson was President of the General Assembly. "We are now emerging into an age," Lester Pearson says, "when different civilizations will have to learn to live side by side in peaceful interchange, learning from each other, studying each other's history and ideals, art and culture, mutually enriching each other's lives. The only alternative in this overcrowded little world is misunderstanding, tension, clash, and—catastrophe." Is it any more visionary to foresee a further extension of this cooperative economic pattern? Is it not time to begin to think in terms of an economic interdependence that would bridge the Atlantic, that would at least break down the barrier between dollar and non-dollar countries which, next only to Iron Curtains, has hitherto most sharply divided our postwar One World? The spread of democracy, too, would assist peace building but he was well aware that without "progress in living standards" no democracy could survive. The United Nations Emergency Force was Pearson's creation, and he is considered the father of the modern concept of peacekeeping. In accepting the prize, Pearson spoke of the link between economic prosperity and peace, suggesting that while wealth does not prevent nations from going to war, "poverty" and "distress" and nonetheless major factors in causing international tension. He cited Arnold Toynbee, who had "voiced this hope and this ideal when he said: 'The twentieth century will be chiefly remembered by future generations not as an era of political conflicts or technical inventions, but as an age in which human society dared to think of the welfare of the whole human race as a practical objective.'" His own work with the Food and Agricultural Organization and in Relief and Rehabilitation helped to remove obstacles to the creation of stable democracies and peace-affirming societies. He was elected leader of the Liberal Party at its 1958 leadership convention but his party was badly routed in the election of that year. As the newly elected leader of the Liberals, Mr. Pearson had given a speech in Commons that asked Mr. Diefenbaker to give power back to the Liberals without an election, because of a recent economic downturn. This strategy backfired when Mr. Diefenbaker seized on the error by showing a classified Liberal document saying that the economy would face a downturn in that year. This contrasted heavily with the Liberals' 1957 campaign promises, and would make sure the "arrogant" label would remain attached to the Liberal party. The election also cost the Liberals their Quebec stronghold; the province had voted largely Liberal in federal elections since the Conscription Crisis of 1917, but upon the resignation of former Prime Minister Louis St. Laurent, the province had no favorite son leader, as they had since 1948. In the 1962 election, his party reduced the Progressive Conservative Party of John Diefenbaker to a minority government. Not long after the election, Pearson capitalized on the Conservatives' indecision on installing nuclear warheads on Bomarc missiles. 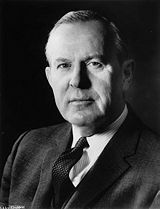 Minister of National Defense Douglas Harkness resigned from Cabinet on February 4, 1963, because of Diefenbaker's opposition to accepting the missiles. The next day, the government lost two non-confidence motions on the issue, prompting the election. Pearson led the Liberals to a minority government in the 1963 general election, and became prime minister. He had campaigned during the election promising "60 Days of Decision" and support for the Bomarc missile program. Pearson never had a majority in the Canadian House of Commons, but he introduced important social programs (including universal health care, the Canada Pension Plan, Canada Student Loans) and the Maple Leaf Flag (known as the Great Flag Debate). Pearson's government instituted many of the social programs that Canadians hold dear. This was due in part to support for his minority government in the House of Commons from the New Democratic Party, led by Tommy Douglas. His actions included instituting the 40 hour work week, two weeks vacation time, and a new minimum wage. Pearson signed the Canada-United States Automotive Agreement (or Auto Pact) in January 1965, and unemployment fell to its lowest rate in over a decade. Pearson also started a number of Royal Commissions, including one on the status of women and another on bilingualism. They instituted changes that helped create legal equality for women, and brought official bilingualism into being. After Pearson, French was made an official language, and the Canadian government would provide services in both. Pearson himself had hoped that he would be the last unilingual Prime Minister of Canada and, indeed, fluency in both English and French became an unofficial requirement for Prime Ministeral candidates after Pearson left office. Pearson was also remarkable for instituting the world's first race-free immigration system, throwing out previous ones that had discriminated against certain people, such as Jews and the Chinese. His points-based system encouraged immigration to Canada, and a similar system is still in place today. Pearson also oversaw Canada's centennial celebrations in 1967, before retiring. The Canadian news agency, Canadian Press, named him "Newsmaker of the Year" that year, citing his leadership during the centennial celebrations, which brought the Centennial Flame to Parliament Hill. Also in 1967, the President of France, Charles de Gaulle made a visit to Quebec. During that visit, de Gaulle was a staunch advocate of Quebec separatism, even going so far as to say that his procession in Montreal reminded him of his return to Paris after it was freed from the Nazis during the Second World War. President de Gaulle also gave his "Vive le Québec libre" speech during the visit. Given Canada's efforts in aid of France during both world wars, Pearson was enraged. He rebuked de Gaulle in a speech the following day, remarking that "Canadians do not need to be liberated" and making it clear that de Gaulle was no longer welcome in Canada. The French President returned to his home country and would never visit Canada again. Pearson's gravestone in Wakefield, Quebec, photographed in 2004. After his announcement on December 14, 1967, that he was retiring from politics, a leadership convention was held. Pearson's successor was Pierre Trudeau, a man who Pearson had recruited and made Minister of Justice in his cabinet. Trudeau later became Prime Minister, and two other cabinet ministers Pearson recruited, John Turner and Jean Chrétien, served as prime ministers in the years following Trudeau's retirement. Paul Martin Jr., the son of Pearson's minister of external affairs, Paul Martin Sr., also went on to become prime minister. From 1969 to until his death in 1972, Pearson served as Chancellor of Carleton University in Ottawa. Pearson headed up a major study on aid and development, the Pearson Commission for the World Bank which examined the previous 20 years of development assistance. The Report was published in September 1969, and recommended increased funding for development which, however, should be scrutinized for transparency and effectiveness. The Canadian Press named Pearson "Newsmaker of the Year" 9 times, a record he held until his successor, Pierre Trudeau, surpassed it in 2000. He was also only one of two prime ministers to have received the honor, both before and when prime minister (The other being Brian Mulroney). The Lester B. Pearson Award is awarded annually to the National Hockey League's outstanding player in the regular season, as judged by members of the NHL Players Association (NHLPA). It was first awarded in 1971, to Phil Esposito, a native of Sault Ste. Marie, Ontario. The Lester B. Pearson Building, completed in 1973, is the headquarters for Foreign Affairs Canada, a tribute to his service as external affairs minister. The Pearson Medal of Peace, first awarded in 1979, is an award given out annually by the United Nations Association in Canada to recognize an individual Canadian's "contribution to international service." The Lester B. Pearson School Board is the largest English-language school board in Quebec. The majority of the schools of the Lester B. Pearson School Board are located on the western half of island of Montreal, with a few of its schools located off the island as well. Lester B. Pearson High School lists five so named schools, in Calgary, Toronto, Burlington, Ottawa, and Montreal. There are also schools (also Elementary) in Ajax, Ontario, Aurora, Ontario, Brampton, Ontario, London, Ontario, Saskatoon, Saskatchewan, Waterloo, Ontario and Wesleyville, Newfoundland. Pearson Way is an arterial access road located in a new subdivision in Milton, Ontario; many ex-Prime Ministers are being honoured in this growing community, including Prime Ministers Trudeau and Laurier. Lester B. Pearson Place, completed in 2006, is a four story affordable housing buildng in Newtonbrook, Ontario, mere steps from his place of birth. Lester B. Pearson, Canadian Ambassador to the United States, at University of Toronto convocation, 1945. Pearson helped to shape the Canadian nation. His bilingual policy was designed to hold the nations two main linguisytic ansd cultural communities together. His international philosophy and strong support for United Nations peacekeeping has continued to feature in Canada's participation in numerous peace keeping missions and in her reluctance to support non-UN sanctioned conflict, such as the 2003 invasion of Iraq and in Canada's advocacy of assistance to the developing world as a moral duty, which the Pearson report had argued. An official Canadian website describes development assistance as one of "the clearest international expressions of Canadian values and culture - of Canadians' desire to help the less fortunate and of their strong sense of social justice - and an effective means of sharing these values with the rest of the world". These words could have been written by Pearson, echoing his 1957 Nobel Lecture. ↑ Gunnar Jahn, The Nobel Peace Prize, 1957, Norwegian Nobel Committee. Retrieved July 20, 2007. ↑ Lester B. Pearson, Nobel Lecture, 1957. Retrieved July 20, 2007. ↑ Foreign Affairs and International Assistance, Canada, International Assistance. Retrieved July 20, 2007. Beal, John Robinson. Pearson of Canada. 1964. Beal, John Robinson and Jean-Marc Poliquin. Les trois vies de Pearson of Canada. 1968. Champion, C.P. "A Very British Coup: Canadianism, Quebec and Ethnicity in the Flag Debate, 1964-1965." Journal of Canadian Studies 40.3 (2006): 68-99. Pearson, Lester B. Canada: Nation on the March. Toronto: Clarke, Irwin, 1953. —. The Crisis of Development. Toronto: University of Toronto Press, 1970. —. Diplomacy in the Nuclear Age. Boston: Harvard University Press, 1959. —. The Four Faces of Peace and the International Outlook. Toronto: McClelland and Stewart, 1964. History of "Lester B. Pearson"
This page was last modified on 28 June 2018, at 22:46.